There is also the video about the Manly Beach Bowl. This bowl is a transplant from the Open Surfing day of Huntington Beach as as Dave Duncan says: "I designed the Soul bowl 10 years ago on a napkin on the airplane, with the thought of bringing the legends division back! Duane Peters and Tony Alva rode it at the Donnington Rock festival in the UK a few years back! Hermosa Beach, Huntington Beach, and now Manly in Australia!! Good Luck to all the Skaters!" 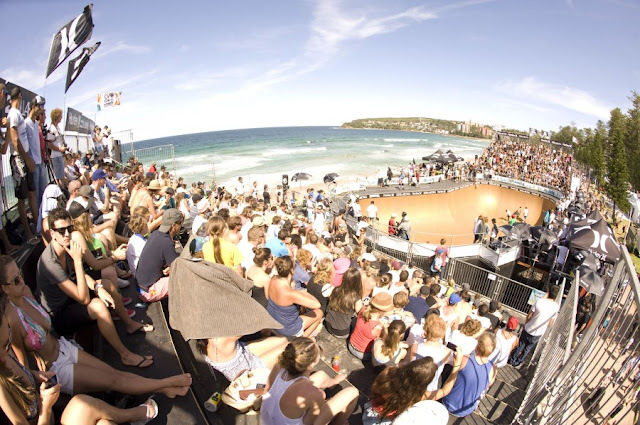 Born on the Gold Coast of Australia, Keegan Palmer was the sensation at Manly Beach Bowl. When he was only two years old Keegan got his first taste of skateboarding and he hasn't looked back since. He is a few inches over three-feet and tips the scales at about 25kg. Keegan Palmer has a six-foot bowl and 14-foot vert ramp in his backyard. Even if he just started fourth grade, Keegan has more US stamps in his passport than teeth in his mouth. Keegan has already been on the Tony Hawk tour with the Big Day Out, skating with Renton Millar, and has skated a whole bunch of contests in California. At 3ft 5in, he's been dropping ramps six times his height. In case you’re not sure he is already a champ, people like Jack Fardell and Renton Miller go to his house to skate his ramp and bowl . This is Australia’s dark horse. Look out for Jack Fardell, that’s if you can see him as he flies past at 100 miles per hour. Jack came to prominence predominantly as a street skater and over the past five years has grown to become one of the best all terrain rippers Down Under. 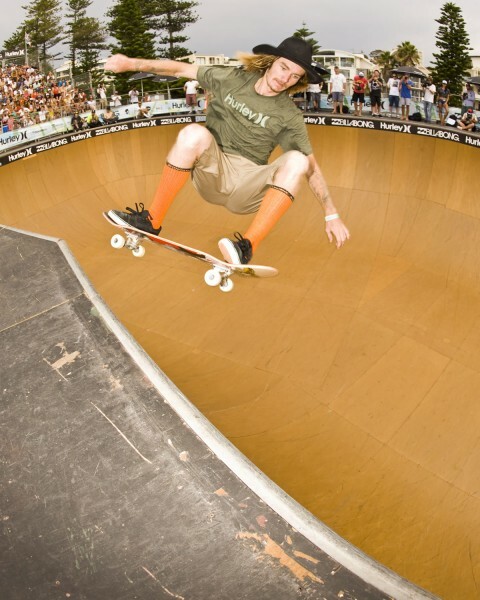 He blazes massive concrete bowls with no pads, no worries, and tears street with just as much fury. He had a big year in 2011, showing his powerful diversity by getting a Slam Magazine cover lipsliding a massive rail while also easily winning the Goldy Grail bowl comp in Queensland. Hurley recognized his potential and snapped him up as their newest team rider. Jack has had a little bit of global coverage and success, with the feeling that now is his time to blow minds and really blow up on an international scale. Having never competed against the world’s best bowl riders, this will be a true test for young Fardell and a battle he’ll be sure to step up to.